The Autumn Leaves Fund is a way of supporting other older adults and ensuring they receive the care they need while remembering a loved one.  It costs Glasgow’s Golden Generation £1,000 to support one older adult in one of our day care centres for a year. By setting up an Autumn Leave Fund in memory of your loved one, you ensure that their memory will provide a lasting legacy through support to the elderly in Glasgow, some who have no other relatives. Why set up an Autumn Leaves Fund? Many family members want to do something positive in the memory of a loved one. The Autumn Leaves Fund will make an ongoing difference to older adults in Glasgow. An Autumn Leaves Fund is named after your loved one and all of your donations will be added to the fund. You can have an online page, through JustGiving, which enables friends and family to donate to the fund and you can also display offline donations. By using Just Giving your family and friends can also leave messages of support or in memory which can be viewed online. You will be advised of any donations which are made by cash or cheque and added to your total annually. Once the fund is registered with GGG and on JustGiving, you can promote it to your friends and family through Facebook, word of mouth etc. If, for example, you would like to take part in or attend one of our fundraising events such as the Zipline or Christmas Concert, we can ensure any funds raised are allocated to the fund. What if I want to find out how much money has been donated to the fund? You can phone our office at any time to find out how much has been raised. If you wish, we can also alert you when donations are made to the fund. What difference will the autumn leaves fund make? Every pound donated or raised in memory of your loved one will be spent in Glasgow, ensuring older adults receive care in their autumn years. GGG has a range of services, including Welfare and Benefits Advice, 3 Day Centres, over 100 Weekly Clubs and Befriending service. All of these services work in partnership to alleviate loneliness and social isolation in older adults. Many of our service users have no family, or perhaps live far from their loved ones. GGG is there to provide and offer the support they need to live full and happy lives in their own home for as long as possible in their autumn years.